One of my favorite new features in Questionmark Perception is Auto-Sensing and Auto-Sizing. This sounds important, but what does it mean? 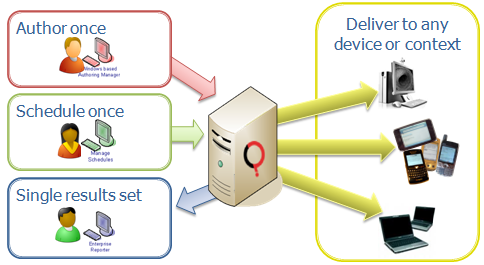 When delivering an assessment, Perception version 5 auto-senses the participant’s device and browser, then delivers the assessment formatted appropriately for the device/browser’s requirements. Perception’s new “on the fly” auto-sizing dynamically adjusts and sizes the “screen furniture” and “skin” of an assessment – the buttons, controls and template graphics — so they fit (and look great) on just about any screen size or resolution imaginable. Why is this important? In short, these new features take the guesswork out of blended delivery and enable you to author an assessment once, schedule it once and then deliver it in as many different ways as you like. I’ve put together a short video explaining how this works. Learn more about Perception version 5 at the Questionmark Users Conference March 14 – 17.